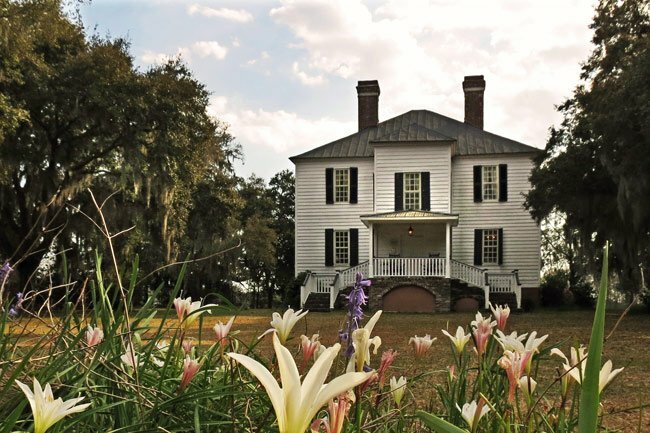 Hopsewee Plantation along the North Santee River was established by Thomas Lynch, I, and the house seen here was built sometime between 1733 and 1740. 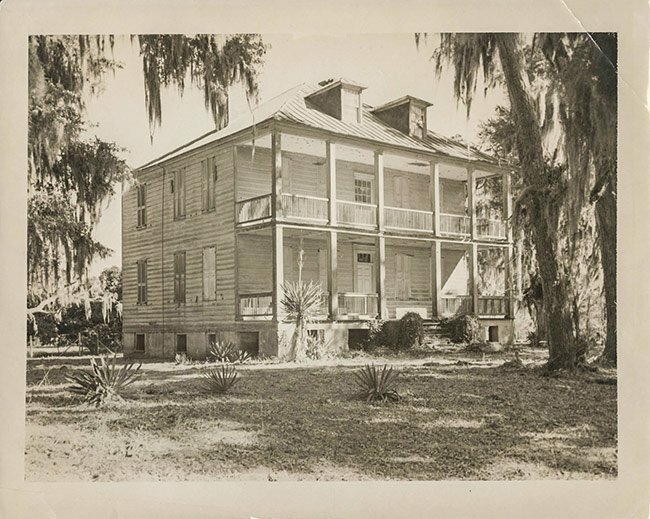 Thomas Lynch, I owned seven plantations along what is now the Intracoastal Waterway, and his son, wealthy indigo planter Thomas Lynch, Sr., eventually chose to make this property his family home. Thomas Lynch, Sr. and his wife, Elizabeth Allston of Brookgreen Plantation (part of which is now Brookgreen Gardens), had two daughters and one son born at Hopsewee. Their son, Thomas Lynch, Jr., and his father, Thomas Lynch, Sr., both led exemplary lives dedicated to public service. Among other offices, Thomas Lynch, Sr. served in the Stamp Act of Congress in 1765 and in the First Continental Congress in 1774. While still in Philadelphia in 1776, Lynch, Sr. experienced a cerebral hemorrhage, which resulted in paralysis. Lynch, Jr. was serving as a soldier in the Revolutionary War at the time and was not granted leave to aid his father. However, Lynch, Jr. was later also named a delegate to the First Continental Congress, which allowed him to be with his father in Philadelphia. Thomas Lynch, Sr. and Thomas Lynch, Jr. secured their places in American history by becoming the only father-and-son delegates to the First Continental Congress. Thomas Lynch, Sr. was unable to sign the Declaration of Independence due to his condition; therefore, his son, Thomas Lynch, Jr., signed the document in his place. Thomas Lynch, Sr. died in December of 1776 in Annapolis, Maryland while traveling back to South Carolina. His son saw to his burial in Annapolis and continued home. Upon his return to South Carolina, Thomas Lynch, Jr., who had become ill with a what was likely a mosquito-borne illness while serving in the Revolutionary War, retired near Hopsewee at Peachtree Plantation with his wife, Elizabeth Shubrick, in order to convalesce. In 1779 the couple decided to relocate to France in order for Lynch, Jr. to recover. Sadly, they were both lost at sea during the voyage. Before he died, Thomas Lynch, Jr. sold Hopsewee Plantation to Robert Hume, who died four years after acquiring the property. However, the property remained in the Hume family, and in 1844 it was sold to John Hume Lucas, great-grandson of Robert Hume. Lucas became a prominent rice planter at Hopsewee. Though Lucas died in 1853, the plantation, then owned by his widow, continued to be planted by his slaves and managed by his employees. 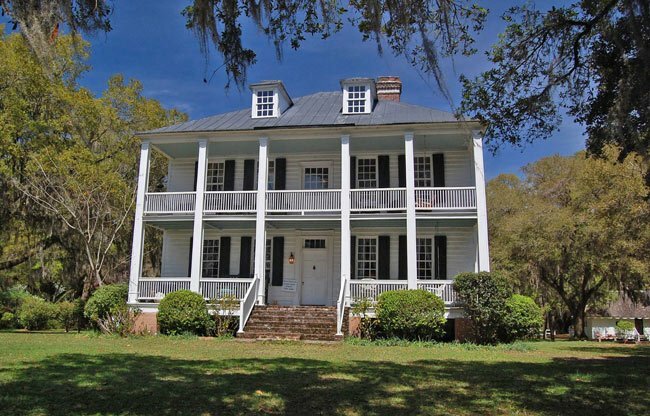 After the Civil War, portions of the property were leased and worked by former slaves. The house itself was ransacked by Union troops at the end of the war. The home was the residence of Lucas descendants until the early twentieth century. In 1945 the property was purchased by the International Paper Company and sold to Colonel Reading Wilkinson three years later. The Wilkersons updated the house with electricity, running water, and other modern conveniences. In 1969 Mrs. Wilkerson, who by that year had been widowed, moved to downtown Charleston, and Jim and Helen Maynard became the property’s new residents. The Maynards restored the home and opened it as a house museum, eventually selling it to Frank and Raejean Beattie in the early 2000s. The Beatties continue the Maynards’ tradition of opening the property to the public as a museum while preventing the development of the surrounding acreage. 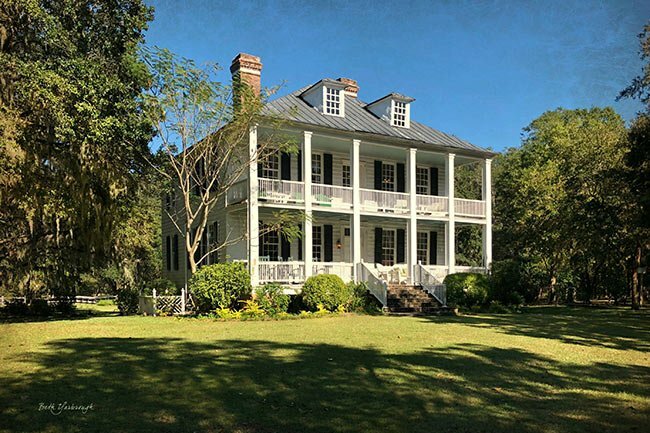 (Hopsewee-on-the-Santee; Thomas Lynch, Jr., Birthplace) Hopsewee was the birthplace and boyhood home of Thomas Lynch, Jr., a signer of the Declaration of Independence for South Carolina, planter, soldier, and politician, from 1749-1763, when his father sold the farmhouse. It is the only extant house closely related with Thomas Lynch, Jr., the only son of a wealthy rice planter. Thomas Lynch, Jr. entered public life in 1774. He was a member of the first and second provincial congress (1774-1776), of the constitutional committee for South Carolina (1776), and of the first state General Assembly (1776). 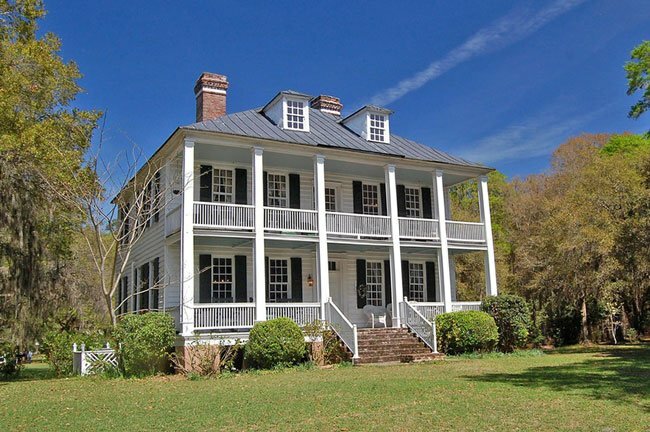 Built by Thomas Lynch, Sr. in the 1740s, Hopsewee is a two-and-one-half story frame structure on a brick foundation covered by scored tabby, with a hipped roof, dormers, and two interior chimneys. A broad two-story porch or piazza with square columns extends across the front of the house. The frame, comprised of black cypress, is of mortise and tenon construction and the walls are clapboard. The farmhouse has a central hall plan. The mantels, wainscoting, cornice mold, and heart pine floors are all original and of excellent craftsmanship. There are two one-story cypress shingled outbuildings on the property, probably originally used as kitchens.